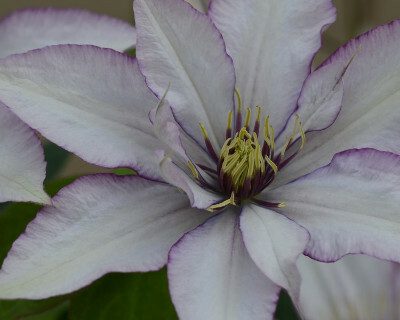 Samaritan Jo Clematis: rare purple edge on white flowers. Finally! A Full Prune clematis small enough for a container! She'd also be a terrific addition to a small garden. Samaritan Jo's purple edging is unique among clematis. Plant her beside Minister for contrast.